Charles Foster was the no. 1 ranked hurdler in the world during his NCCU career. 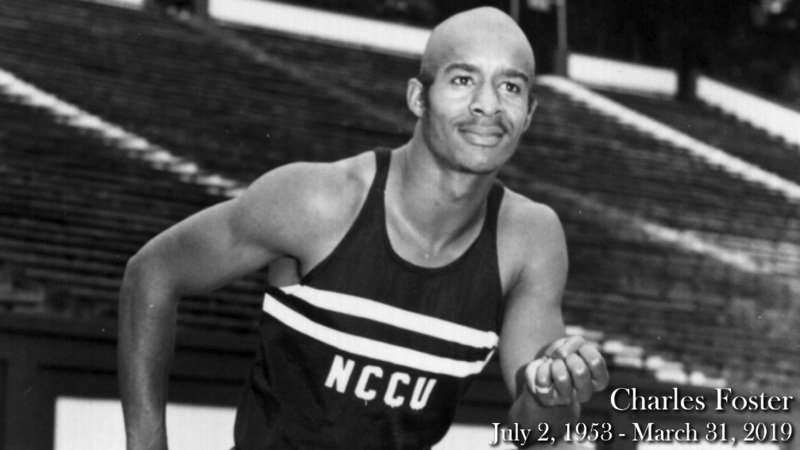 DURHAM, N.C. – Charles Foster, who won five NAIA and NCAA individual national championships and was the top-ranked hurdler in the world during his collegiate career at North Carolina Central University, passed away on Sunday (March 31) at the age of 65. A 1975 graduate of NCCU, Foster was a dominant force on the track during his college career from 1971-75, specializing in the hurdles. After NCCU, he placed fourth in the 110-meter hurdles at the 1976 Olympic Games in Montreal and enjoyed an accomplished career as a college coach. During his junior and senior campaigns at NCCU, Foster repeated as the NAIA national champion in the indoor 60-yard hurdles, setting the meet record in 1975 with a time of 6.9 seconds, and the outdoor 120-yard/110-meter hurdles, breaking the meet record in 1974 in 13.4 seconds. He also captured the NCAA outdoor 120-yard hurdles national championship in 1974 with a time of 13.35 seconds. In 1974, Foster was ranked as the No. 1 hurdler in the world. As a freshman, Foster helped lead the Eagles to the 1972 NAIA outdoor track & field team national championship, running a leg of the 440-yard relay that set a meet record with a time of 39.5 seconds. Foster was inducted into the NCCU Athletics Hall of Fame as part of its inaugural class in 1984, and has also been enshrined in the Mid-Eastern Athletic Conference Hall of Fame (1981) and the Penn Relays Wall of Fame (2016).